Summary: “Every kid in Lola’s school was from somewhere else.” When Lola’s teacher assigns the class to draw a picture of their country of origin, Lola isn’t sure what to do. Unlike her classmates, she has no memory of the island where she was born. She asks her cousin, her mother, and her grandmother about the island, and they tell her about beautiful beaches, fun music, and delicious fruits. The island sounds so idyllic, Lola can’t understand why her family left it. Then she talks to Mr. Mir, the superintendent in her apartment building. He describes the monster that terrorized the island for 30 years until brave men and women “got tired of being afraid and fought the Monster.” By the time she’s done with her interviews, Lola has enough material to create a book of pictures, which she enjoys sharing with her classmates the following day. 48 pages; grades K-3. Pros: Apparently, Junot Diaz is some big-shot writer at MIT, which I didn’t know since I never read books for adults anymore. 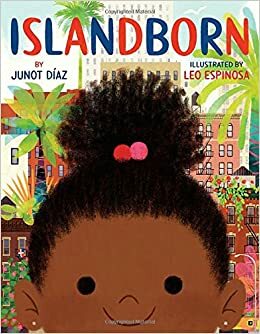 His story of Lola is a beautiful meditation on immigration, memory, and the history of the Dominican Republic, which is the island that both Diaz and Lola come from. 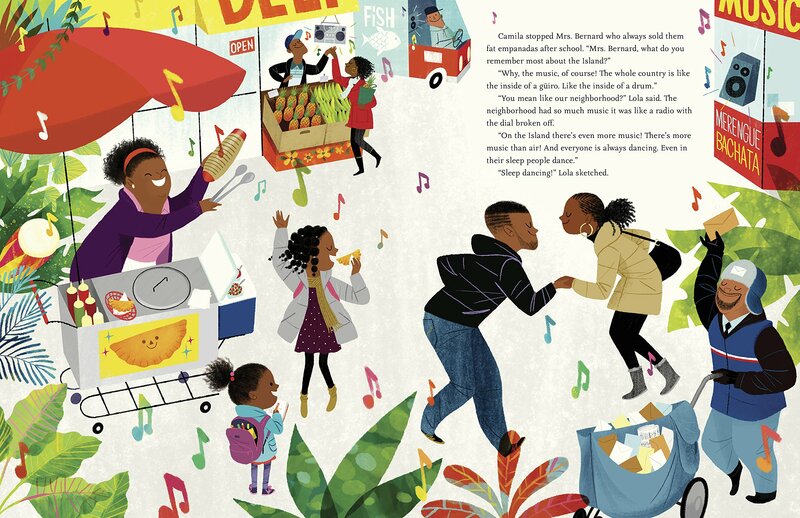 The busy, colorful illustrations should be considered for a Caldecott. Cons: Since I am also ignorant of Dominican history, I didn’t recognize the Monster as dictator Rafael Trujillo, and I’m guessing many young readers won’t understand this part of the story either. The cover is so bright and definitely captures the reader’s eyes. The illustrations inside look beautiful too. Thanks for sharing your review.